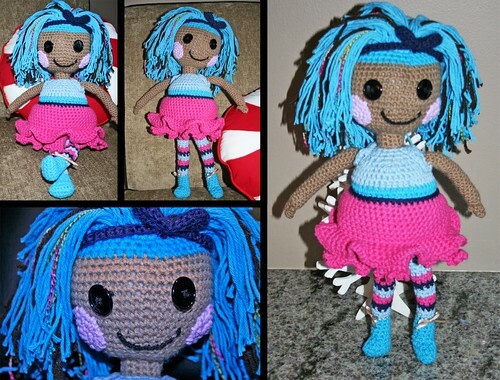 My littlest Baby Doll loves Lalaloopsy dolls. Being two years old it is cute to hear her say Lalaloopsy. Santa Claus brought her two new ones for Christmas, a little one for her dollhouse and a larger one. Mom (me) made her a handmade crochet one. On a side note, I decided to learn how to knit. I received money for Christmas and used it to purchase Teach yourself VISUALLY knitting an excellent book so far. It is like going through a well thought out online tutorial. 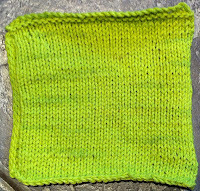 The book arrived Thursday and Friday I bought knitting needles on the way home from work I made this washcloth Friday night. 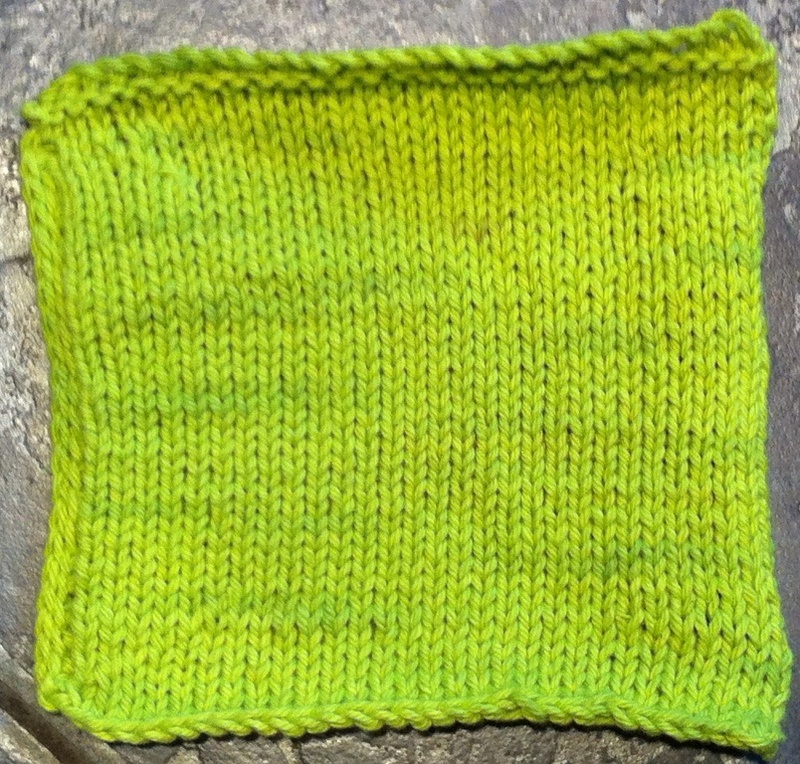 I used cotton yarn made for wash cloths and was amazed at how much softer the knit version is compared to the crochet version. My Baby Doll decided it was her wash cloth. She carried it all around the house until it was dinner, then wanted to use it to clean up after we ate. I really like it. My oldest boy has already given me instructions on how he would like his knit hat to look:) First I have to finish his quilt!